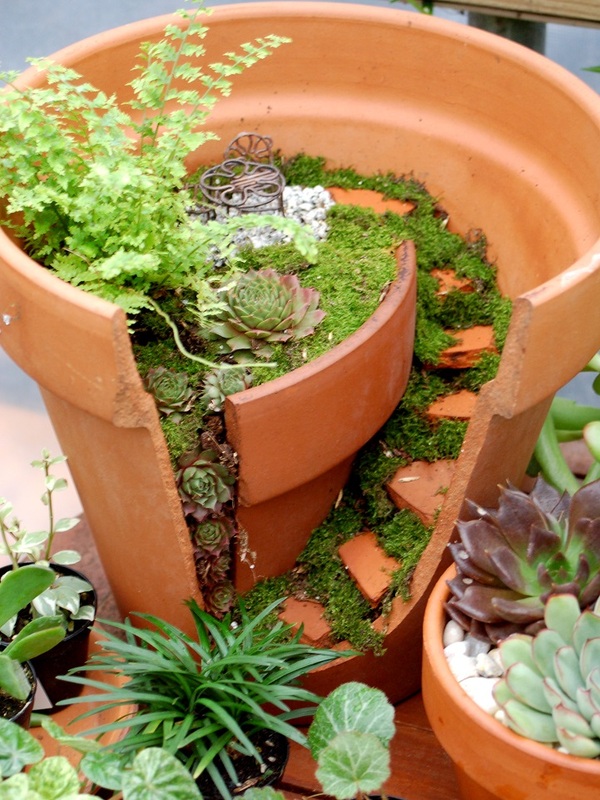 Just because a clay pot is broken doesn’t mean that you have to throw it out. 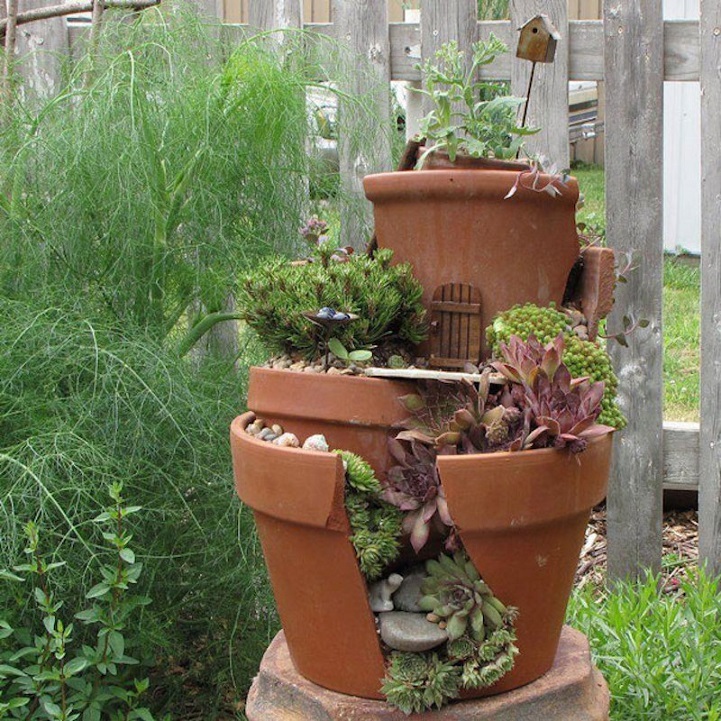 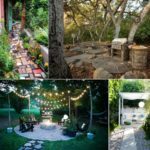 Creative gardeners have developed a resourceful trend that repurposes the broken pieces into imaginative creations, making for a fantastic DIY projects. 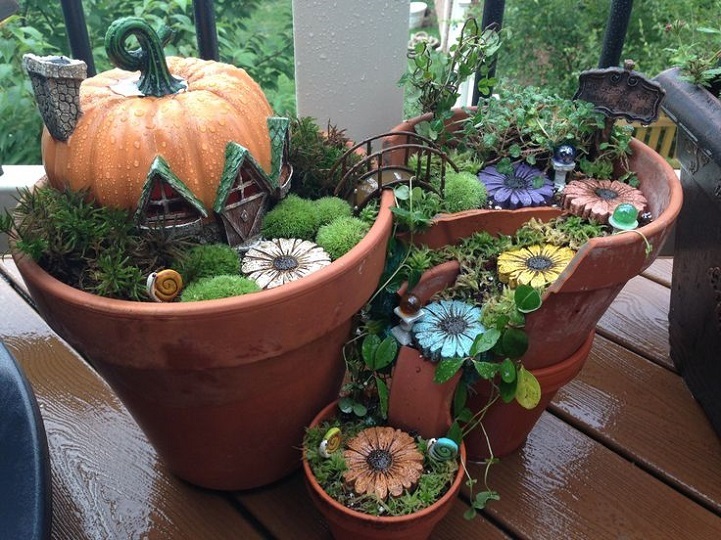 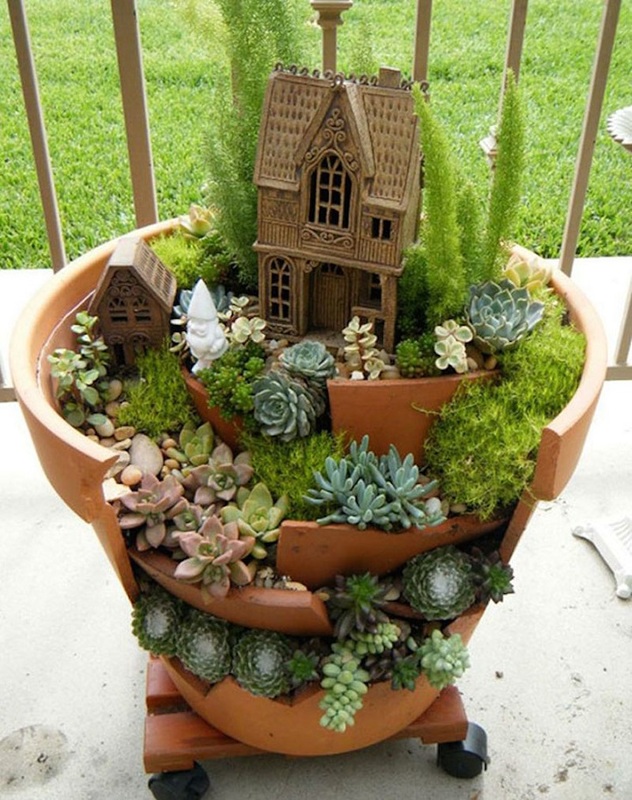 Commonly known as fairy gardens, these arrangements fashion the clay into tiers or steps for succulents and moss to grow on. 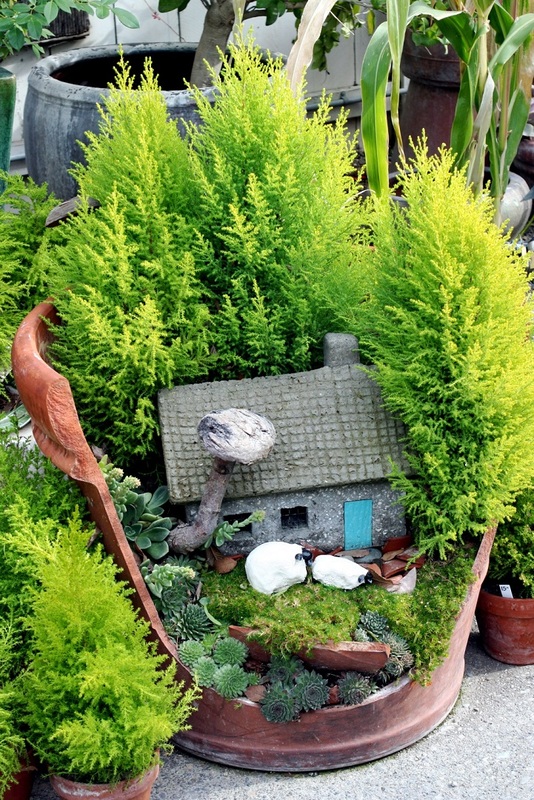 They often include small figurines or houses to make the pot look like tiny, fantastical creatures live there. 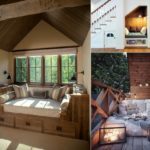 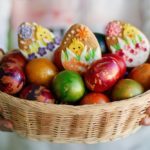 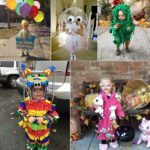 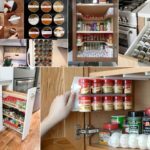 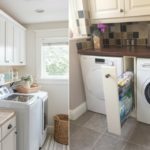 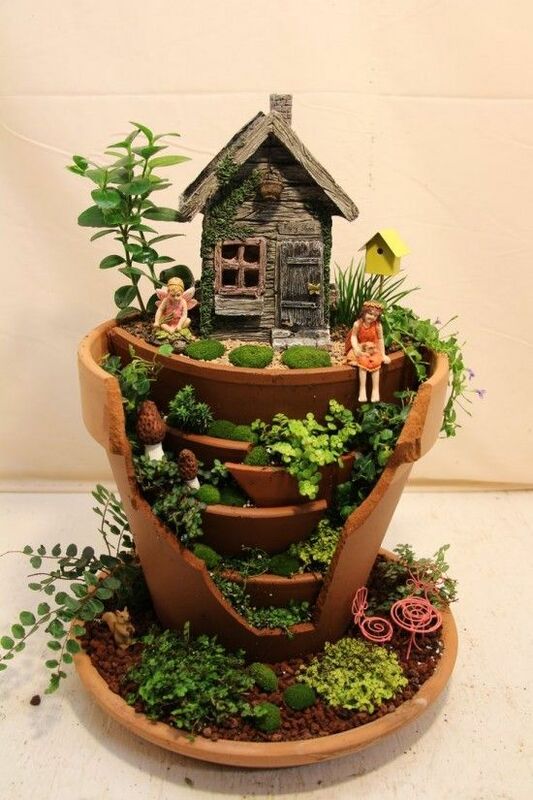 This project idea invites you to use your imagination and create something totally unique. 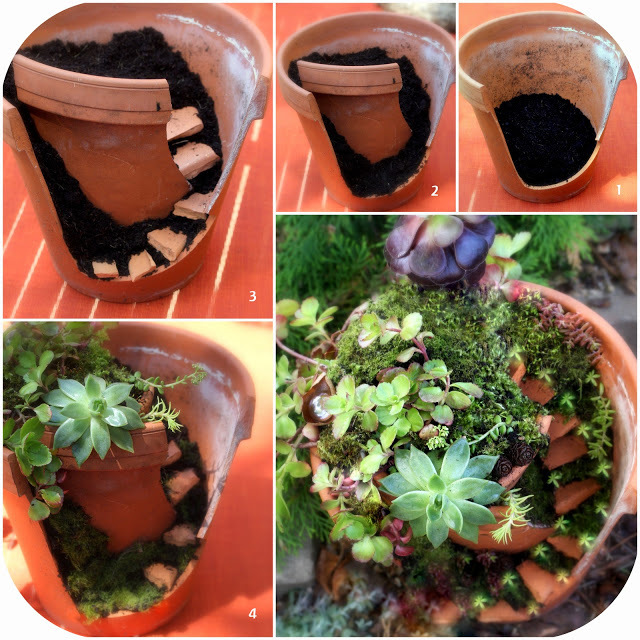 The basic process involves collecting a clay pot and its broken shards, filling the larger portion of the pot with soil, and then positioning the fragments accordingly and the fun begins! 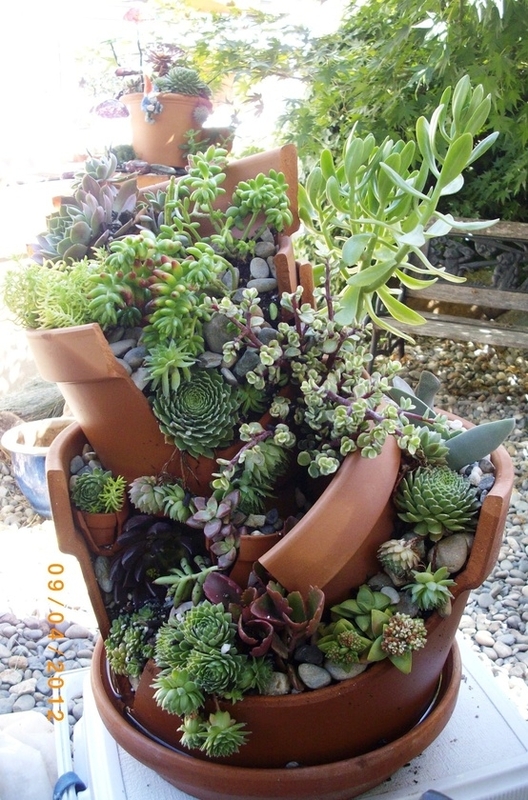 For your own project, start adding moss, pebbles, and small succulent plants to the pot, arranging them to your liking. 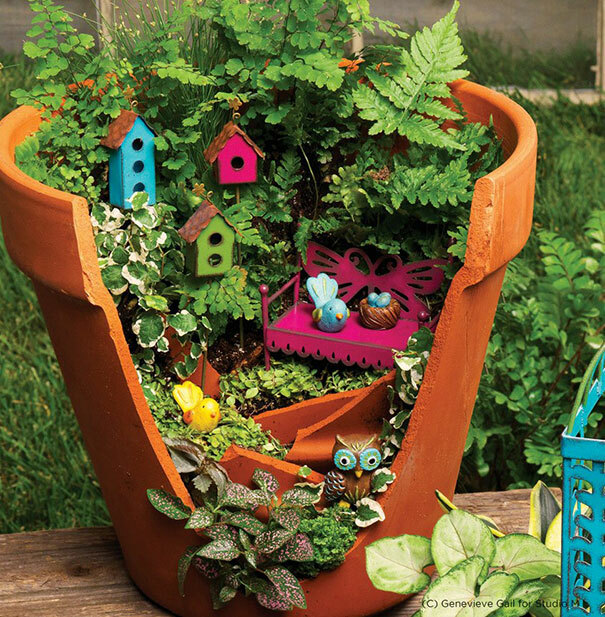 Then, add the decorative objects to give your creation that special, fanciful touch. 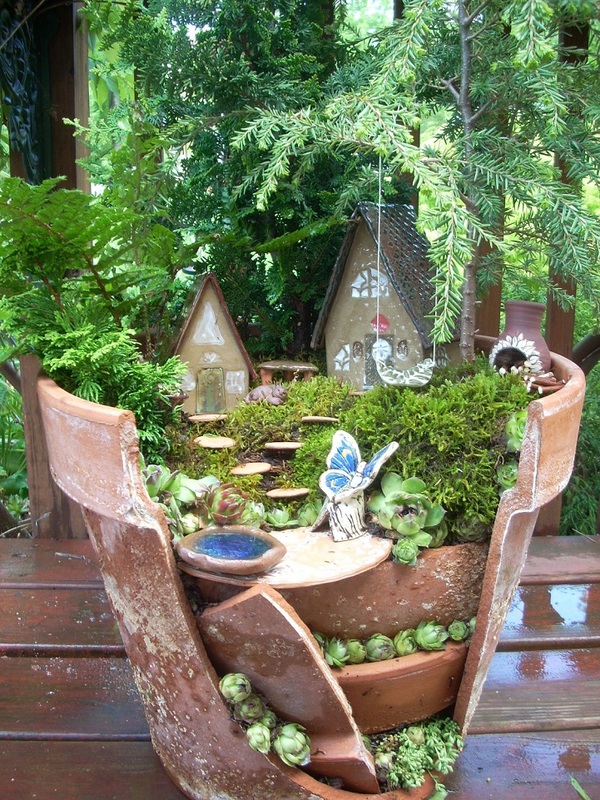 Remember, there’s no wrong way to create a fairy garden. 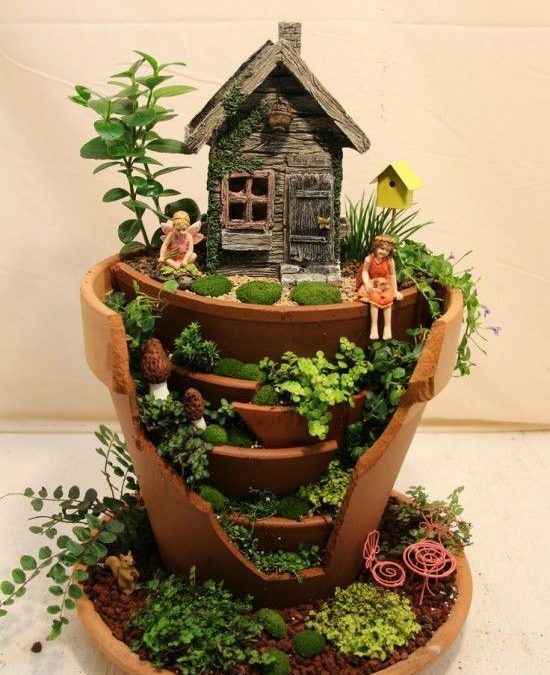 Check out all of the incredibly imaginative variations below.